The George Swope House at 60 York Street. 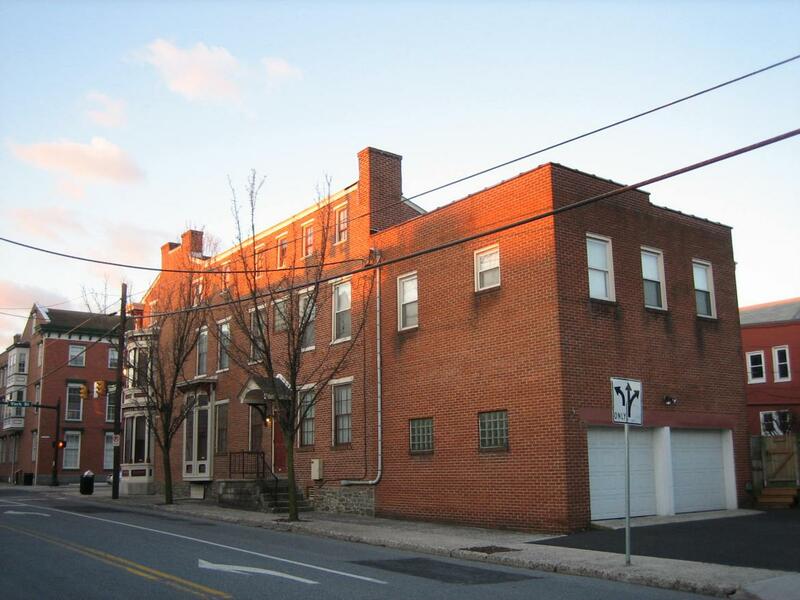 The main entrance to this building is here on the south (York Street) side. The sun is beginning to hit the top of the structure. This view is from the south facing north at approximately 7:40 AM on Sunday, March 9, 2008. 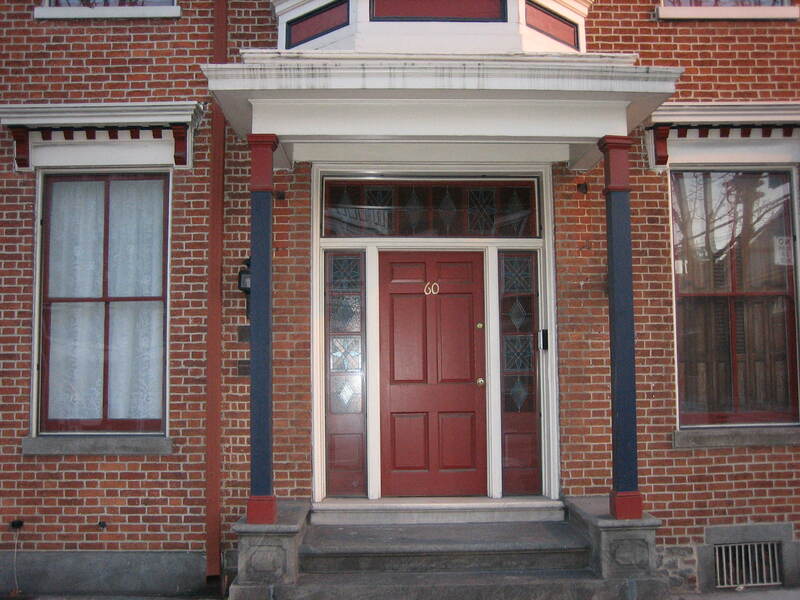 While many pass by the home of George Swope, few realize his significance in 1860s Gettysburg. 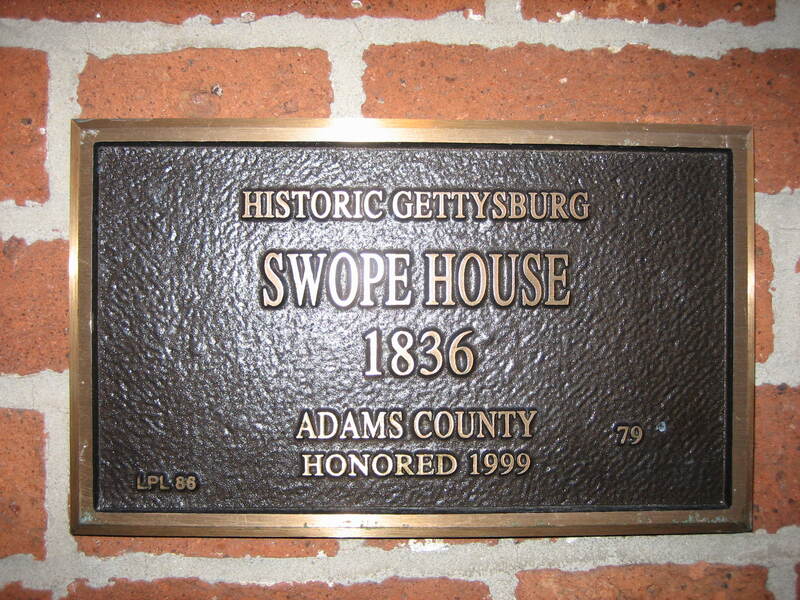 According to the 1860 federal census, George Swope was the wealthiest individual in Gettysburg. 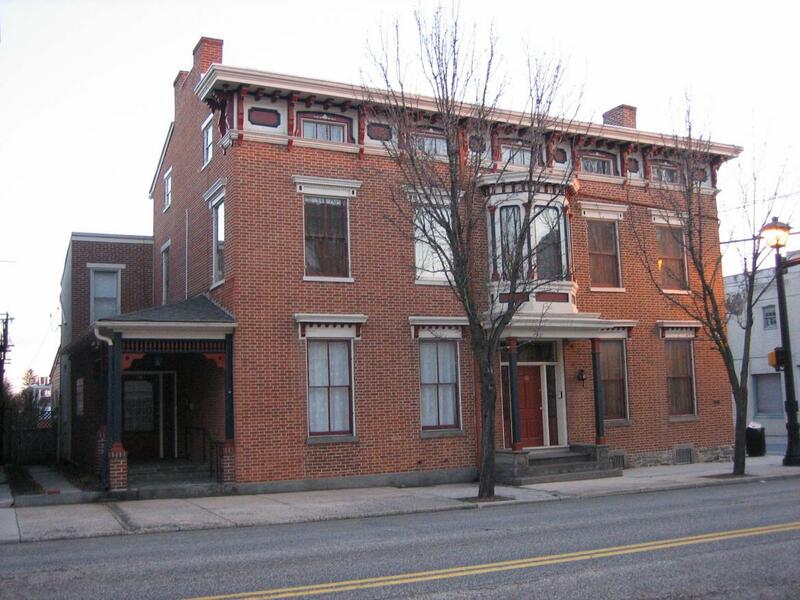 Much of his wealth was acquired as President of the Gettysburg National Bank. The Gettysburg Daily took images of this 1836 structure as the sun was rising. South and west sides of the Swope House. York Street is in the foreground. This view is from the southwest facing northeast at approximately 7:35 AM on Sunday, March 9, 2008. Swope, George Gettysburg, Adams County, Pennsylvania resident. (circa 1801-) He was born in Pennsylvania. The 1860 census shows that he was “white,” the President of Gettysburg Bank, and that he lived in the same dwelling and was part of the same family with Margaret Swope (1807-), born in Pennsylvania; Lena Clepp (1847-), born in Pennsylvania; Jane Copeland (1820-), born in Virginia; J. Augustus Cover (1832-), born in Pennsylvania. Front (south) Entrance of the Swope House. This view is from the south facing north at approximately 7:35 AM on Sunday, March 9, 2008. 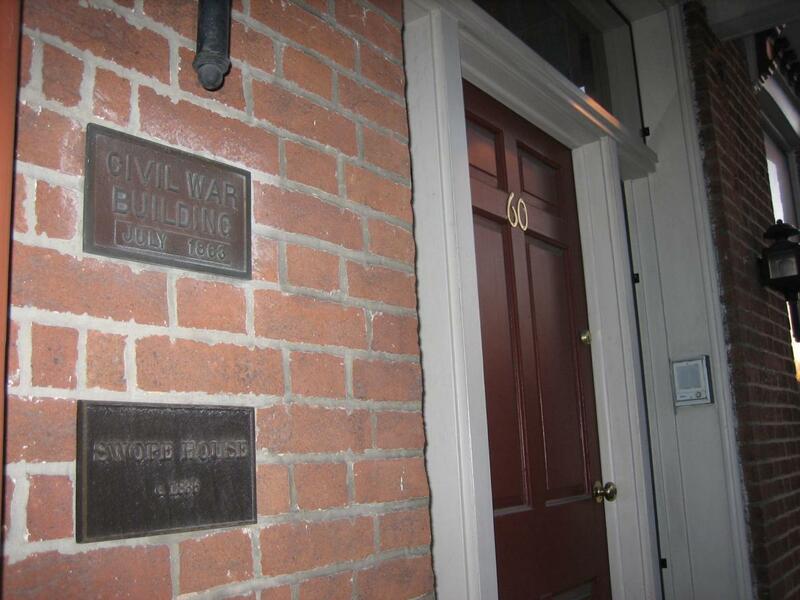 Plaques and front (south) entrance of the Swope House. This view is from the southwest facing northeast at approximately 7:35 AM on Sunday, March 9, 2008. Plaque on the west side of the south wall of the Swope House. This view is from the south facing north at approximately 7:35 AM on Sunday, March 9, 2008. St. James Lutheran Church view of the Swope House. 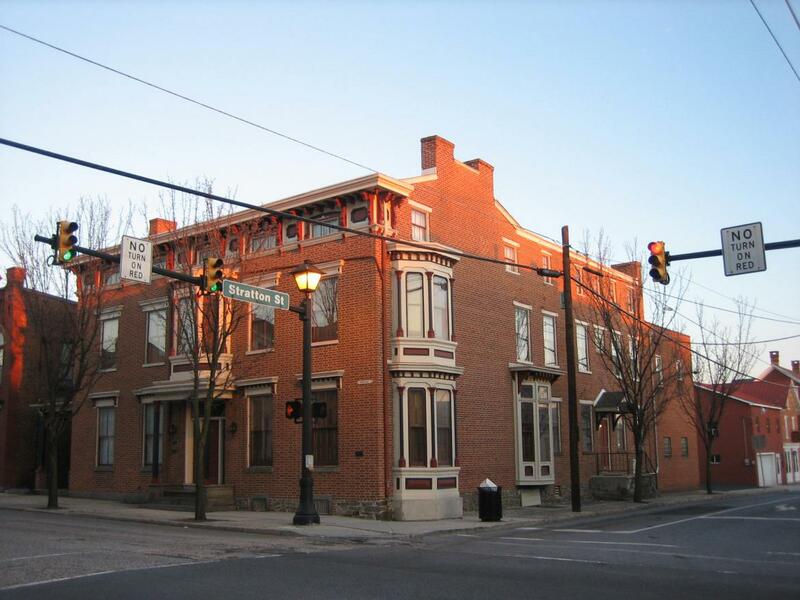 The Swope House is located at the corner of York Street and North Stratton Street. The sun is starting to meet the top of the Swope House in this view from the southeast facing northwest at approximately 7:40 AM on Sunday, March 9, 2008. 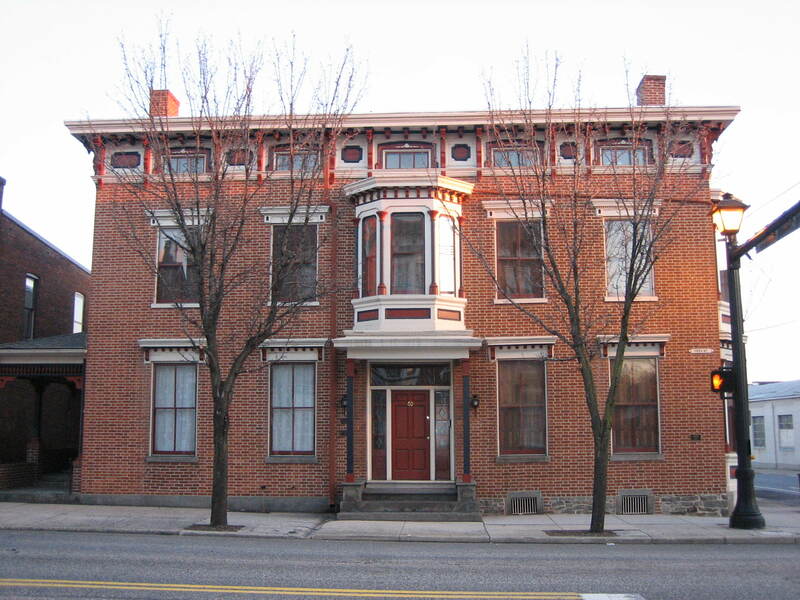 The east and north sides of the Swope House. North Stratton Street is in the foreground. This view from the northeast facing southwest at approximately 7:40 AM on Sunday, March 9, 2008.